Is to provide extraordinary service and savings to my heroes who provide extraordinary services to our nation and our communities every day. No red tape, no hidden fees, and no catch. Becoming a homeowner can be challenging enough, that’s why I am making everything easy for the hero, and making the Heroes my #1 priority. We are industry leaders and local specialists helping fulfill the needs of our heroes and maximizing their Hero Rewards®. Every hero will receive extraordinary service and extraordinary Hero Rewards. That is my goal. 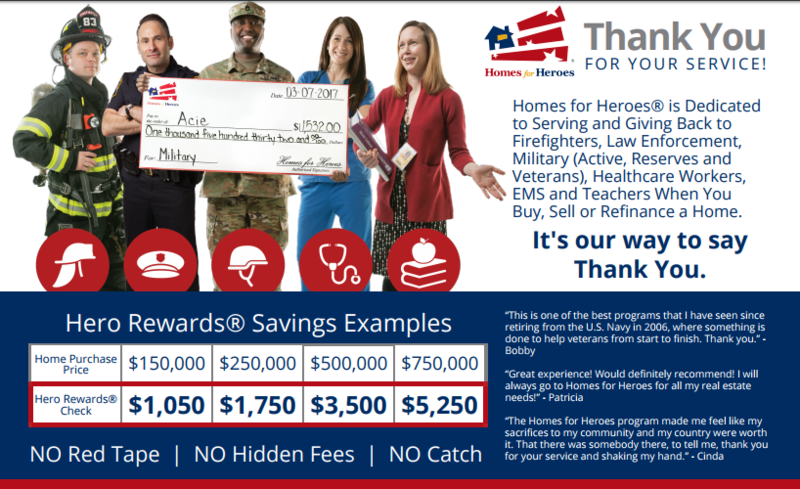 Whether you are selling your home, buying a home or refinancing, this program is designed to help our Heroes. I am here to help you and reward you for your service. Step 4: Receive your Rewards! As a daughter of a retired Air Force pilot, I understand the commitment and sacrifice our heroes give to our communities on a daily basis. It is my honor to be part of this program and to be able to give back to the heroes in our community. I have been a realtor in the Tampa Bay area since 2001. I bring my expertise and knowledge of the area to help my clients make sure their real estate experience is smooth and as stress-free as possible. I have been a realtor in the Tampa Bay area since 2001. I bring my expertise and knowledge of the area to help my clients make sure their real estate experience is smooth and as stress-free as possible. I am in the #1 real estate office in The Tampa Bay area, Keller Williams Tampa Properties and have been part of the top 20% of Realtors in the area since I began my real estate career. I am on the leadership council in our office and heavily involved in our community. I look forward to helping many heroes in our community and giving back and saying thank you for all that you do.